An early female African American employee of the university was Ellen McGuire, who began working at NC State in 1889. McGuire worked at State for 50 years, retiring in 1939. According to a 1939 Technician article, McGuire was born into slavery on a North Carolina plantation. Although McGuire maintained many responsibilities during the time she was employed by the college, she spent her last 31 years working in the infirmary. 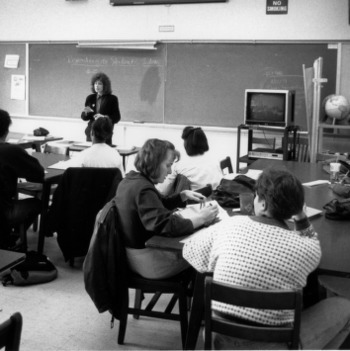 Sue Carroll began employment at the North Carolina College of Agriculture and Mechanic Arts. 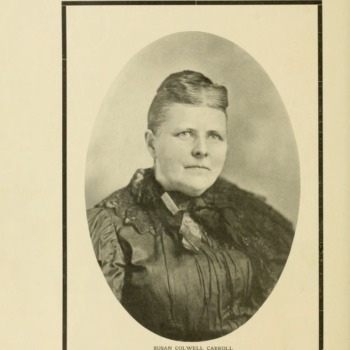 She filled the position of matron, supervising the Cadet Hospital (an early version of the student health center) and the dormitories until her death in 1901. 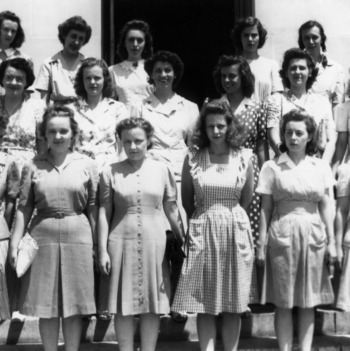 The Board of Trustees votes to open A&M College to women. 8/2/1899 Women designated as "Special Students"
The Board of Trustees amend their decision from earlier in the year to admit women to A&M, deciding women will be classified as special students, except in textiles courses, where they can be enrolled as regular students. 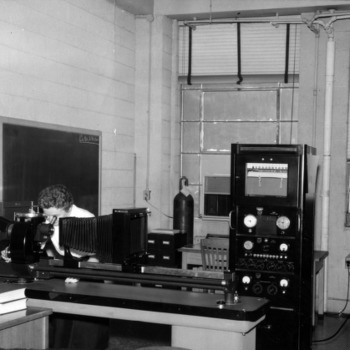 Margaret Burke becomes the first female student to take a course at A&M (she enrolled in a physics course). Eula Louisa Dixon takes a course in dairying, becoming the second female student at A&M. Adeline Stevens, the wife of Frank Lincoln Stevens, becomes the first female faculty member, as an instructor in biology during the 1902-1903 academic year. During Sherman’s tenure as librarian (1903-1906), library holdings moved from the third floor of Main Building (later Holladay Hall) to the first floor of old Pullen Hall. 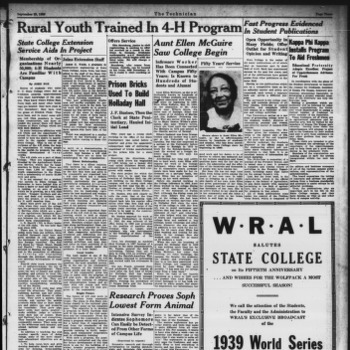 With input from D. H. Hill, she tried to make the library comfortable for extra-curricular reading and subscribed to popular periodicals and newspapers from all North Carolina counties in order to encourage greater library patronage. 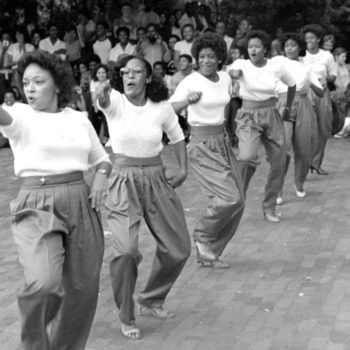 Women's enrollment continued to increase during the 1903-1904 academic year. 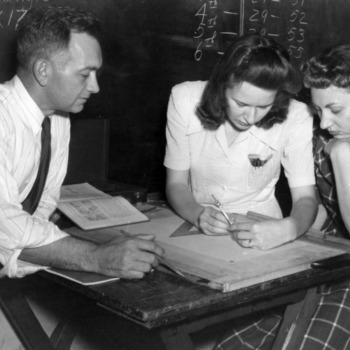 Evelyn Byrd Lawrence of Raleigh took a course in architecture, Ivey Roberts of Raleigh took a course in drawing, and Frances Claire Stainback took courses in chemistry and English. 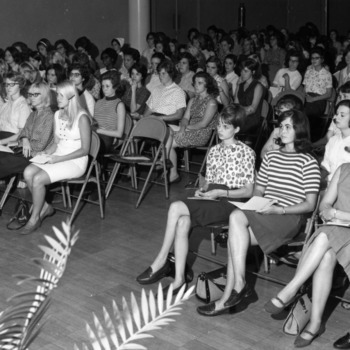 This was also the first year that women were listed as summer school students, and more than 200 women attended. 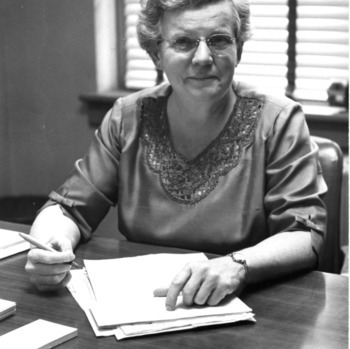 Jane S. McKimmon became the first woman to serve as a state home demonstration agent through the Agricultural Extension program at A&M College. Lucille Thomson of Wilmington becomes the first woman to enroll as a full-time student, majoring in electrical engineering. Lillian P. Wallace becomes the first woman to earn a masters degree in Education. She went on to publish several historical works on politics in Europe. 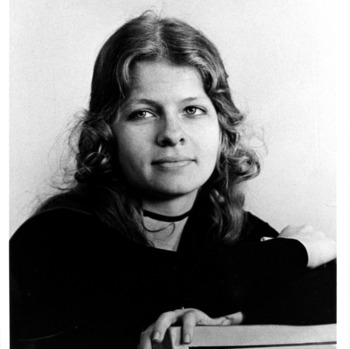 Virginia F. Harris becomes the first woman to earn a masters degree in Rural Sociology. 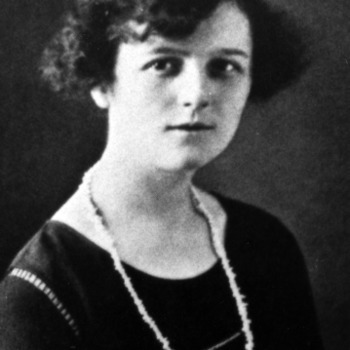 Lillian Tyler Jones was the first female to earn a graduate degree from the School of Textiles. Her thesis was a study of "the effect of some wet and dry cleaning and stripping and spotting reagents on the relative tensile strength of some acetate and viscose yarns." Katherine W. Sams becomes the first woman to earn an M.S. degree in Economics. Maud K. Schaub becomes the first woman to earn an M.S. degree in Biology. 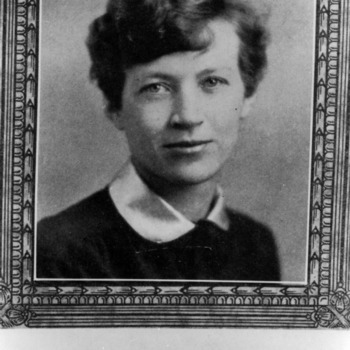 Katharine Stinson, personal friend of Amelia Earhart, is the first woman to enroll in Mechanical Engineering. 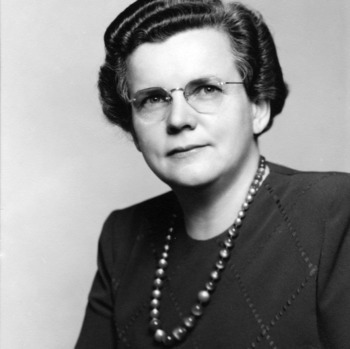 Ethel C. Sheridan becomes the first woman to earn an M.S. in Occupational Information and Guidance. 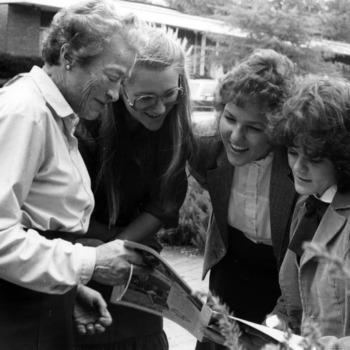 Margaret Kramer and Martha S. Richard become the first women to receive M.S. degrees in agricultural chemistry. Myrtha M. Wilson becomes the first woman to earn an M.S. degree in animal ecology. Gertrude Cox is hired as Professor of Statistics and head of the Department of Experimental Statistics, becoming the first woman at State College to occupy either rank. 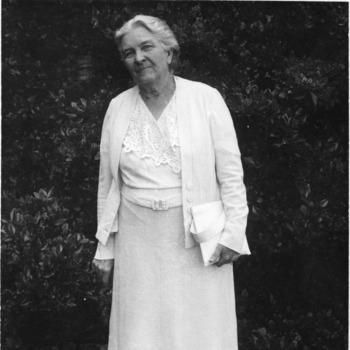 The Architecture Library opened as the first branch library, with Grace Sims Dalton as the first librarian. 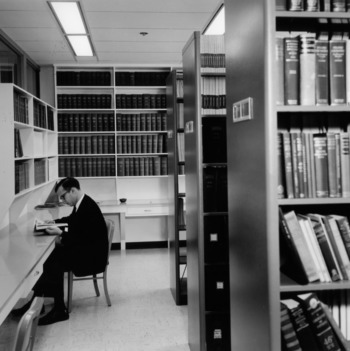 This was part of Library Director Harlan Brown’s goal to eliminate autonomous departmental libraries in favor of centrally controlled branch libraries (The Architecture Library was renamed the Harrye B. Lyons Design Library in 1968). 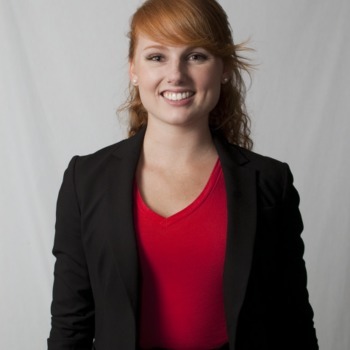 Katharine Stinson becomes the first woman to graduate from NC State's School of Engineering. Stinson received a Bachelor of Mechanical Engineering degree, Aeronautical Option. Stinson was taking flying lessons at the old Raleigh Airport on US-401 when Amelia Earhart flew in for a visit in the early 1930s. When Stinson told Earhart that she wanted to become a pilot, Earhart advised her to become an engineer, a career Stinson pursued in spite of obstacles that prevented most young women from striving for such a degree. 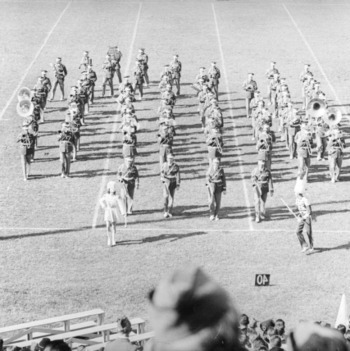 Stinson was told she must enter State College as a junior, so she completed forty-eight semester hours in one year at Meredith (including two summer sessions) to attain her goal. 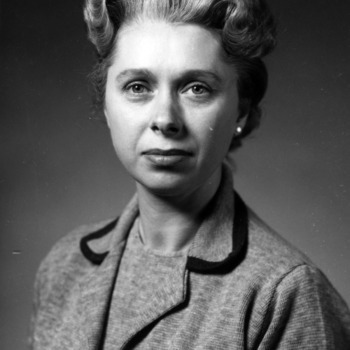 Besides being the first woman engineer to graduate from NC State, Stinson was also the first woman engineer hired by the Civil Aeronautics Administration, now the Federal Aviation Administration. 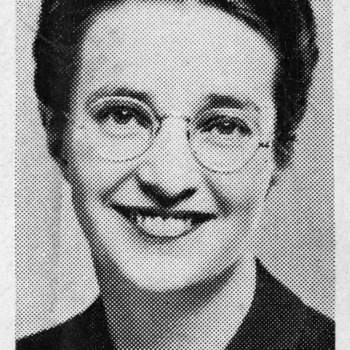 By the time she retired from the FAA, as Technical Assistant Chief of the Engineering and Manufacturing Division, she had served as the third president of the Society of Woman Engineers and on a presidential advisory committee for aviation safety under Lyndon Johnson. "I just wanted to be a good engineer . . . I just did my job and most of the men accepted me," Stinson once said. 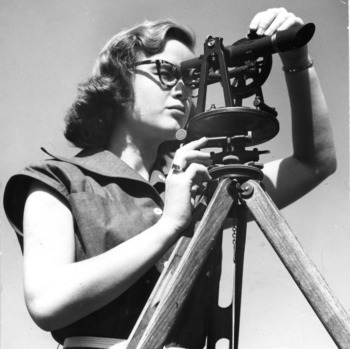 Margery Belle Garriss becomes the first woman to graduate in Architectural Engineering. Reference Librarian Reba Clevenger became the acting college librarian during World War II, when all male library staff members left for military service. Library Director Harlan Brown took a leave of absence until 1946. The Textiles Library is established, with Rachel Penn Lane as the first librarian. The Textiles Library was originally located in the main library, but relocated to Nelson Hall the following year (1945). 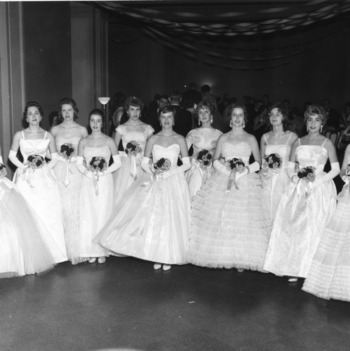 The library was renamed the Burlington Textiles Library in 1954, when Burlington Industries funded its expansion. Jeanne Freeman becomes the first person to earn an M.S. degree in Experimental Statistics. 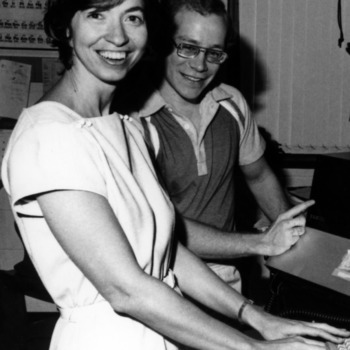 Lois Madden became the first woman to graduate with a degree in Chemical Engineering. Emily Catherine Brown Blount of Fayetteville, NC, became the first female student to receive a B.S. in civil engineering from NC State in 1953, and received a profession degree in civil engineering in 1954. 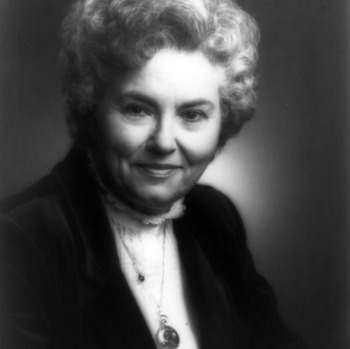 Blount went on to become the first female licensed Professional Engineer in North Carolina in 1960, and in 2007 she was inducted into the North Carolina Transportation Hall of Fame. Patricia Anne Sarvella become the first woman to receive a Ph.D. degree at State College (from the Department of Genetics). The first African-American female academic staff member, Mrs. Justina Williams, is hired to work in the Department of Genetics' Drosophila research lab. Many African-Americans had worked at State prior to Williams's appointment, however they primarily worked in custodial or food service positions. Hazel Virginia Clark receives a master's degree in Occupational Information and Guidance, becoming the first African-American woman to receive a master's degree from NC State. Twenty-three years after Gertrude Cox's appointment, Eloise Cofer, Extension Professor of Food Science and Assistant Director of the Agricultural Extension Service becomes the second woman to be appointed as a full professor. 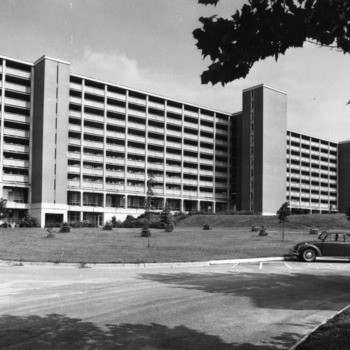 In 1980, Cofer was named Home Economist of the Year by the N.C. Home Economics Association. 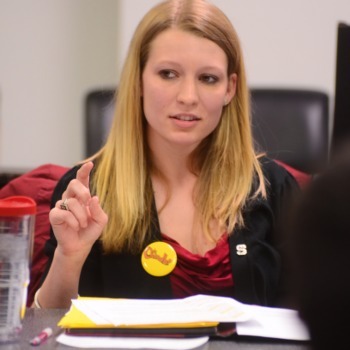 The university produces, for the first time, a "Report on the Status of Women Students." Watauga Hall opens as NC State's first female dorm, marking the first time women are able to live on campus at NC State. All undergraduate single women are required to live there. Dorothy Williams becomes the first African-American instructor with faculty ranking, teaching in the Department of Sociology and Anthropology. Doris King becomes the third woman to serve as a full professor, teaching courses in history and education. Ann B. Goodnight graduates with a bachelors degree in political science. 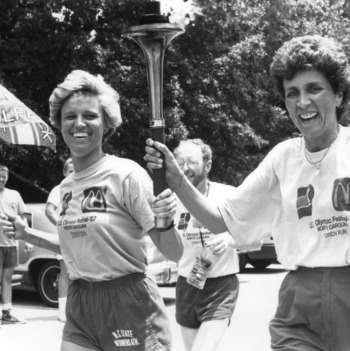 She later became a businesswoman, philanthropist, and member of the UNC system Board of Governors. 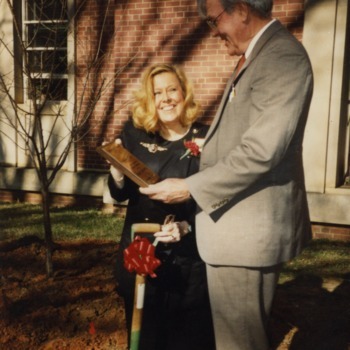 Sarah Sheffield became the first woman to edit Agri-Life, the student publication of the College of Agriculture and Life Sciences. Sheffield majored in wildlife biology and received a BS in 1970 and an MS in 1977. Dr. Mary Wheeler becomes the first female recipient of the NC State Outstanding Teacher Award. Alice Cline becomes the first woman at NC State to receive a Ph.D. in Electrical Engineering. Statistics professor Gertrude Cox is elected to the National Academy of Sciences. Barbara Parramore becomes the second female department head, leading the Department of Curriculum and Instruction at its founding. Meena Ajmera became the first woman at NC State to receive a doctorate in Physics. 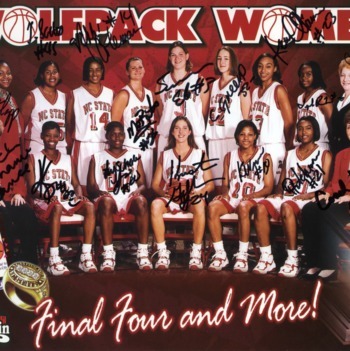 The Wolfpack won the first women's basketball game televised in North Carolina. The team beat UNC-Chapel Hill 68-58. 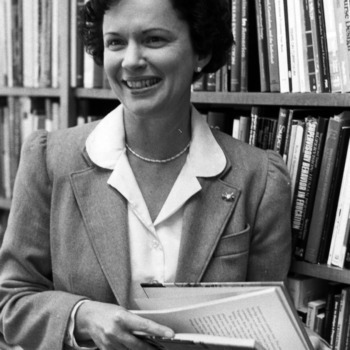 Mary E. (Betty) Wheeler becomes head of the Department of History, and only the third female to hold a position of department head at NC State. 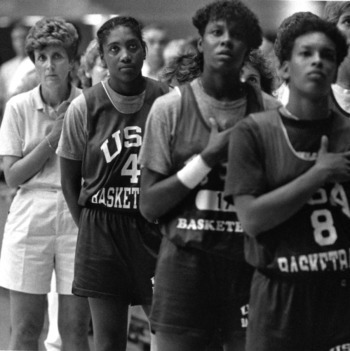 Women's basketball player Genia Beasley was named Kodak All American. 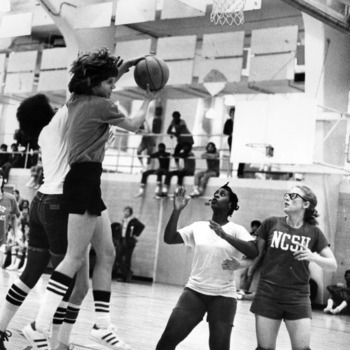 She helped the Wolfpack win ACC season and tournament championships in 1978 and 1980, and she was named ACC Tournament MVP in 1980. 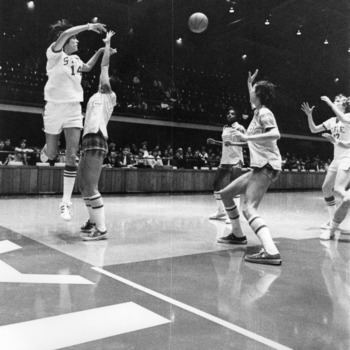 She played for the USA Select National Team in 1977 and 1978, and she won gold medals at Pan American Games, Senior Pan American Games and World University Games. 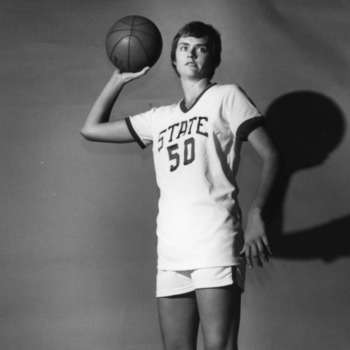 In 2012 she was inducted into the NC State Athletics Hall of Fame. 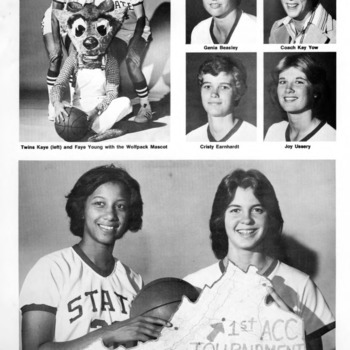 The NC State Women's Basketball team participates in the first-ever Atlantic Coast Conference Women's Basketball tournament as the top seed. NC State lost in the championship game to Maryland. 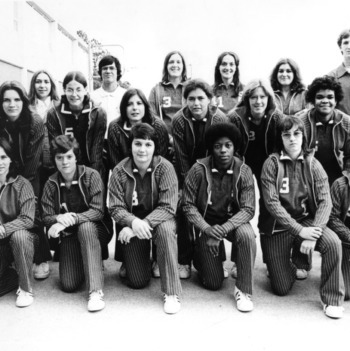 The Women's Cross Country team wins the first of back-to-back national championships (1979 and 1980). Evelyn Reiman, assistant director of student development, sponsors the first NC State Women's Week-- a series of afternoon and evening programs for campus women. Women's Cross Country runner Julie Shea is awarded the Broderick Cup by the Association for Intercollegiate Athletics for Women (AIAW), as the most outstanding athlete of the year. 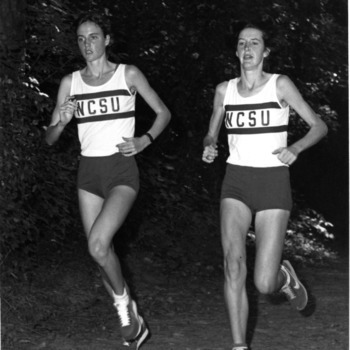 North Carolina State University's All-American cross country runners Julie Shea (left) and Mary Shea (right). Julie Shea Sutton of the Wolfpack's track and cross-country teams became the first female athlete to be named ACC Athlete of the Year. 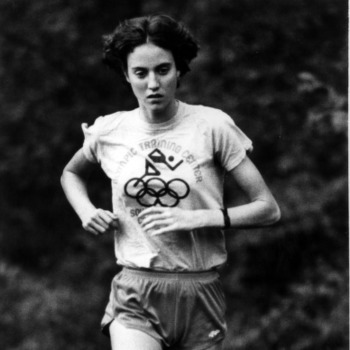 In 2012 she was inducted into the NC State Athletics Hall of Fame. 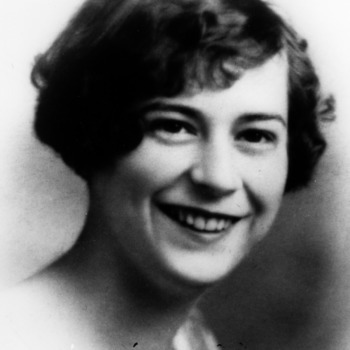 Ada B. Dalla Pozza becomes the first woman to serve as president of the Faculty Club (now the University Club). Katherine W. Klein, Associate Professor of Psychology, becomes the first female faculty member to be named an Alumni Distinguished Professor. Lee Smith, Assistant Professor of English, becomes the first female faculty member to receive a North Carolina Award, receiving an award in literature. Sondra L. Kirsch, Associate Professor of Recreation Resources Administration becomes the first woman to chair the NC State Faculty Senate. Debra W. Stewart was appointed interim dean of the Graduate School, the first female dean and the first woman to serve as dean of the Graduate School. Her appointment became permanent in 1988. 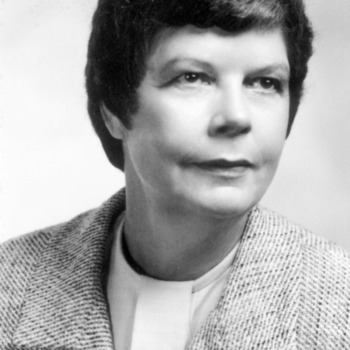 She served as dean until 2000. The degrees are earned by Melinda Hollingshead in August and Cathy Carlson in December. Elizabeth C. Theil becomes the first woman to receive the Alumni Research Award. 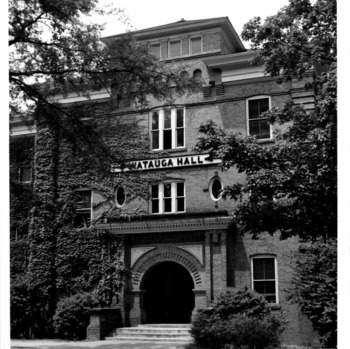 Yarbrough Court, the court surrounded by Holladay, Peele, Leazar, and Watauga Halls, is named after Mary E. Yarbrough, the first women to earn a graduate degree from NC State and one of the first three women to graduate from the university. 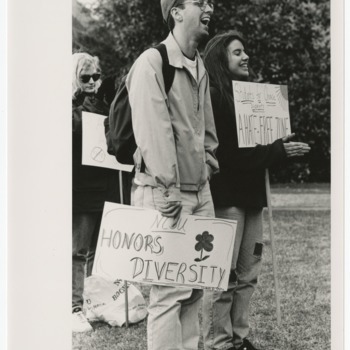 During Nutter’s tenure, the Libraries grew from less than 2,000,000 volumes to more than 5,000,000, plus 90,000 print and electronic serial subscriptions, more than 500 bibliographic databases, and numerous electronic full-text and image collections. 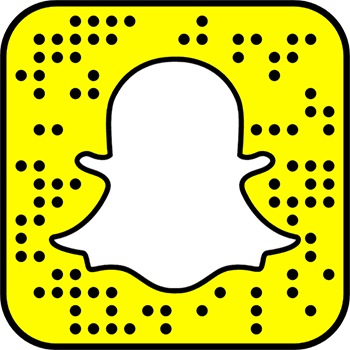 The Libraries advanced significantly in important library rankings, and innovative new facilities opened on campus. Susan Nutter retired on Sept. 30, 2017. The NCSU women's soccer team defeated Erskine College 5-0. Laura Kerrigan (center), State's top scoring threat, battles for control of the ball. Kaye Gibbons, former NC State student, becomes the NCSU Libraries' first author-in-residence. Elizabeth C. Theil becomes the first woman at NC State to hold a named professorship, and is honored with the University of North Carolina's O. Max Gardner Award. 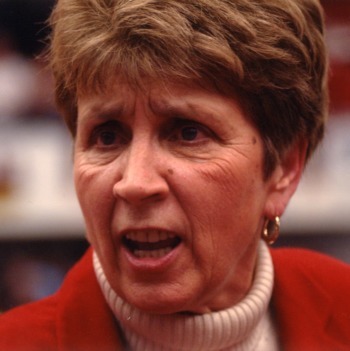 Kay Yow, Women's Basketball coach, coaches the winning Women's Basketball team in the 1988 Olympics. Christine Grant (Chemical Engineering) becomes the first African-American female faculty member appointed in the College of Engineering. Nora Lynn Finch, associate athletics director, is inducted into the Women's Sports Hall of Fame. The Collection Management Department is established, with Margaret Hunt as its first head. 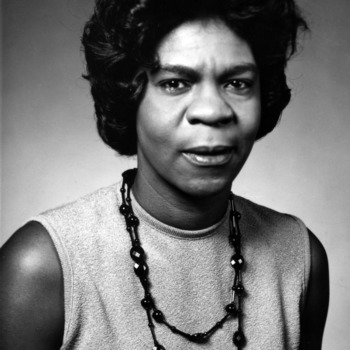 Hunt had been one of the first African-American librarians hired during the 1970s. 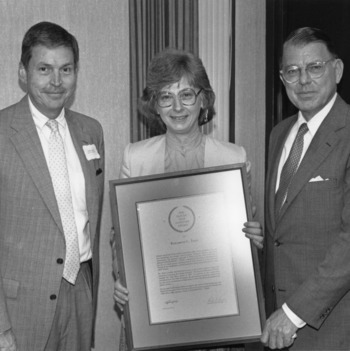 Barbara Parramore became the first female faculty member to receive the Holladay Medal for Excellence. Margaret A. Zahn, nationally known for her studies on violence in the United States, becomes Dean of the College of Humanities and Social Sciences. She serves in the position until 2001. June Atkinson was awarded an Doctor of Education degree. 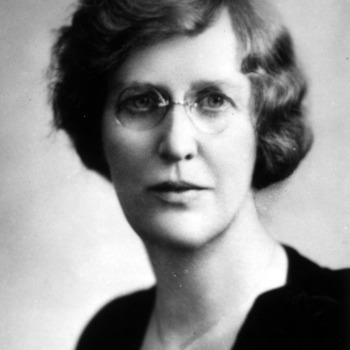 She later became the first woman to serve as North Carolina Superintendent of Public Instruction. 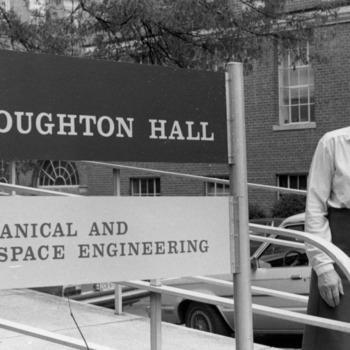 Katharine Stinson, the first woman to graduate from NC State's School of Engineering, has a street named after her. Katharine Stinson Drive, formerly North Yarbrough Drive, is one of the longest streets on campus. 1998 Chavonda Jacobs-Young awarded a Ph.D.
Chavonda Jacobs-Young was awarded a Ph.D. She had previously earned a Bachelors of Science degree (1989) and Masters of Science degree (1992). She was the first African American woman in the United States to earn a Ph.D. in paper science. She later became associate administrator for national programs for the USDA's Agricultural Research Service. The Women's Basketball team reaches the Final Four in the NCAA tournament. Women's Golf is reinstated as a varsity sport. 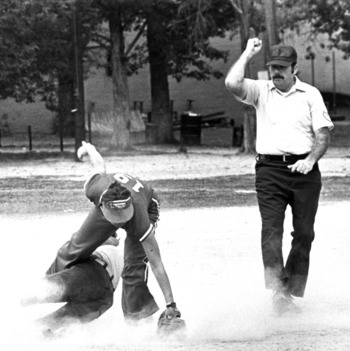 A team was previously fielded from 1980 to 1986. Peaches Simpkins is named the first female chair of the university's Board of Trustees. NC State Track and Field athlete Kristin Price won the individual NCAA championship in the 10,000-meter event. 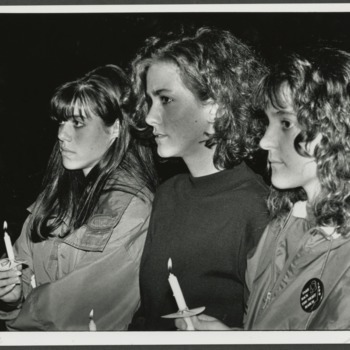 She was a twelve-time All-American in track and cross country. NC State Women's Basketball coach Kay Yow was inducted into the Naismith Memorial Basketball Hall of Fame at a ceremony in Springfield, MA. Susan Nutter is named the Librarian of the Year by Library Journal. 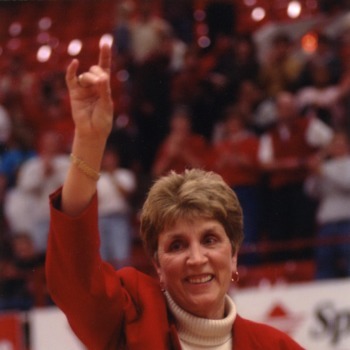 NC State Women's Basketball coach Kay Yow celebrated her 700th win. The Wolfpack beat Florida State, 68-51. 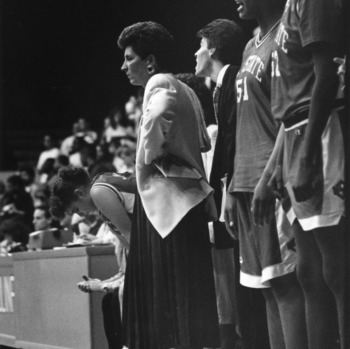 Yow eventually racked up 737 wins (at NC State and Elon), making her the fifth winningest NCAA Division I basketball coach. Cynthia Istook became the first woman appointed full professor in the College of Textiles. Originally held at the Free Expression Tunnel, this has become an annual event to promote diversity and inclusion on campus.